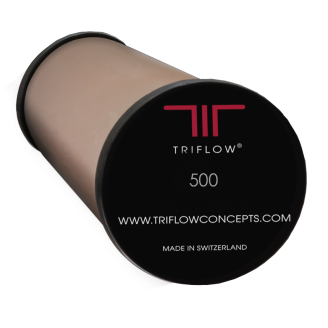 Triflow Concepts’ ceramic filter tap cartridges significantly reduce impurities, such as chlorine, lead and cysts down to 0.2 microns, whilst leaving healthy minerals, including magnesium, calcium and fluoride. The majority of our high-performance ceramic filters are exclusively manufactured by Switzerland-based market leader for persomal water treatment systems, Katadyn. The Katadyn tap filters virtually eliminate bacteria and are more environmental friendly than bottled water. Based on experience and testing, we recommend to replace our tap filter cartridges every six months, to ensure you are gaining the maximum health benefits from your tap water. After this period, the pores in the activated carbon becomes less efficient in absorbing material. You may also notice a reduction in the flow rate of your water. Our filters reduce pathogenic bacteria, cysts including cryptosporidium, turbidity, chlorine, lead from your regular tap water. The advanced filter technology also enhances the taste and smell of your drinking water, ensuring every glass is fresh. 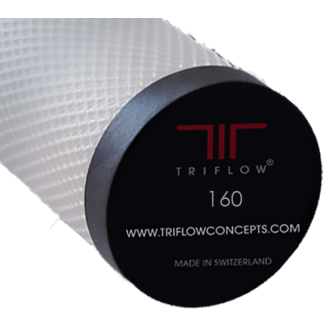 Time to renew your Triflow Concepts filter cartridges? • TF321 is made from survival grade materials, this four-stage screw fit filter includes silver to reduce bacteria growth. Exclusively manufactured by Katadyn. 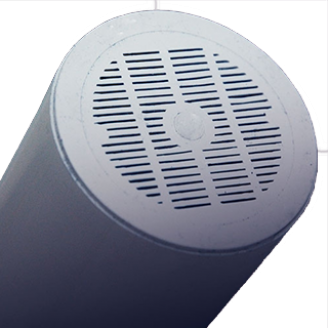 • TFE500 is similar to the previous filter, except with a four stage push fit design. Exclusively manufactured by Katadyn. • TF160 is a screw fit, solid carbon block filter cartridge, with a Swiss-made 1-micron outer service that removes impurities. Exclusively manufactured by Katadyn. • TRX160 is similar to the TF160 but with a push fit design. Exclusively manufactured by Katadyn. • TF320 uses a four stage screw fit design, made for older style tap housing. Exclusively manufactured by Katadyn. • 1659 is a carbon reduction filter, created with ‘dealkalisation' resin that reduces calcium, replacing calcium carbonate ions with sodium. Customers can renew filters a few different ways. Make a note on your calendar when it is time to buy replacement tap filters, then simply give us a call on 0800 999 3959, or buy online. We can also send a reminder when it’s time to renew your filters. Alternatively, we offer a automatic filter cartridge renewal service paid for via direct debit. With the renewal service every six months, we send you the tap filter cartridge you need to keep fresh, filtered water flowing in your home. Get great-tasting filtered water, on tap with our range of replacement filter cartridges for your home. Not sure which filter cartridge to chose? Give us a call, send an online message or email us and one of our team will be happy to help ensure you pick the right cartridge for your housing and tap design. With our reliable, durable and stylish systems, you can be confident that every time you turn that tap on you are getting healthy, great-tasting water wherever you live.